This is the second and third schedule of the CCH act. Here is the List of colleges that are approved by CCH. The list also gives the colleges and courses that are approved. The course approved by the university has to be taken into account before taking admission to the said colleges. For all employment CCH recognition is must and the candidate has to pass the recognized courses. There are instances where candidates have been thrown out due to lack of recognition by CCH even after attaining good marks in Entrance-competitive examinations. Please Go through your University name and state and the name of the course. (CCH Regulations) From 1987 onwards. (b) From January, 2015 onwards; If granted to the students who have passed out during this period from the Baroda Homoeopathic Medical College, Vadodara, Gujarat 186.. Bachelor of Homoeopathic Medicine and Surgery (Graded Degree) B.H.M.S. Bachelor of Homoeopathic Medicine and Surgery (Graded) B.H.M.S. (i) Sendhwa Homoeopathic Medical College, Sendhwa. (ii) Gujarati Samaj Homoeopathic Medical College, Indore. Bachelor of Homoeopathy Medicine and Surgery (Graded) B.H.M.S. Doctor of Medicine in Homoeopathy – Repertory M.D. (i) Dr, Madan Pratap Khuteta Rajasthan Homoeopathic Medical College, Vanasthali Marg, Station Road, Jaipur-302006134,146,152 ,166 & 178. (ii) Swasthya Kalyan Homoeopathic Medical College & Research Centre, Jai Villa, Narain Singh Road, Near Trimurti Circle, Jaipur302004134,146 152 166 & 178. (iii) Yuvraj Pratap Singh Memorial Homoeopathic Medical College, Shivaji Park, Alwar. 134,146, 152 166 & 178. (iv) Bhartiya Homoeopathic Medical College, Be Narayan Gate, Bharatpur. 134,146,152 166 & 178. (v) Shri Mangilal Nirban Homoeopathic Medical College & Research Institute, M.N.S. Hospital & Research Centre, Bikaner-334001 and 134,146, 152, 166 & 178. (vi) J.R. Tantiya Charitable Trust, Ganganagar Homoeopathic Medical College, Hanumangarh Road, Sri Ganganagar.” 134,146,152 166 & 178. Bachelor of Homoeopathic Medicine and Surgery (Graded) B.H.M.S . 29E West Bengal University of Health Sciences, Kolkata Bachelor of Homoeopathic Medicine and Surgery B.H.M.S. (iv) Kalyan Homoeopathic Medical College & Hospital, Jandiala Road, District Tarn Taran, Amritsar. Note: This degree is recognized, if it is awarded to the students who will be passing out upto the 31st day of March, 2016 only, from the following colleges and thereafter it will not be recognized to the students who may pass out from the following college beyond the 1st day of April, 2016 onwards. (i) Maharana Pratap Homoeopathy Medical College, Raipur. (ii) Raipur Homoeopathy Medical College, Raipur. 34 Maharshi Dayanand University, Rohtak Bachelor of Homoeopathic Medicine and Surgery B.H.M.S. 36 Vinoba Bhave University, Hazaribag Bachelor of Homoeopathic Medicine and Surgery B.H.M.S. 3 Faculty of Homoeopathy, London. 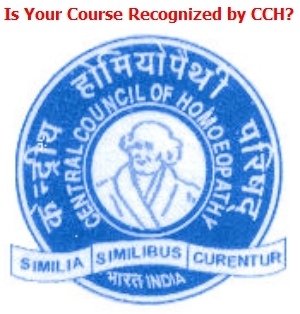 Fellow of the Faculty of Homoeopathy F.F. Hom.